​The Stranger Returns Series is a trauma-informed graphic comic book series, designed to provide informative recovery materials to individuals affected by military-related operational stress injuries, commonly taking the form of Post-Traumatic Stress Disorder (PTSD). This challenging subject matter is presented in an engaging, accessible and entertaining manner. 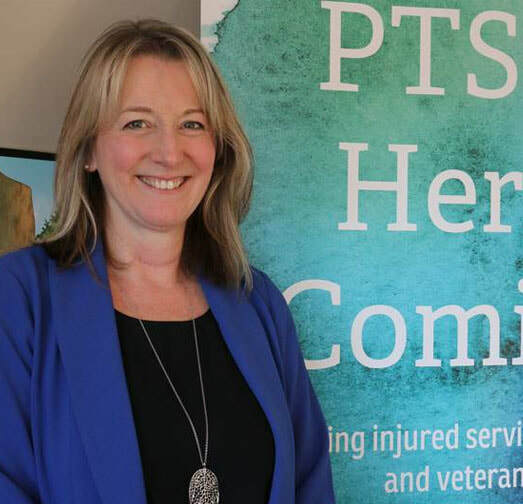 Hants Journal interviews Dr.Belinda Seagram.That's our poster in the background! Facebook page has a new look. See how the Landing Strong Brand connects with comics. Intro Video﻿﻿ explaining the Stranger Returns Project with commentary from the creators. Comic books are actually good for you! PTSD Hero Comics: more than great entertainment. They're also therapeutic! CIMVHR Poster Presentation: Sept 25-27 in Toronto at the Beanfield Centre (aka CNE Automotive Building). An academic paper explaining the use of comics to promote recovery. 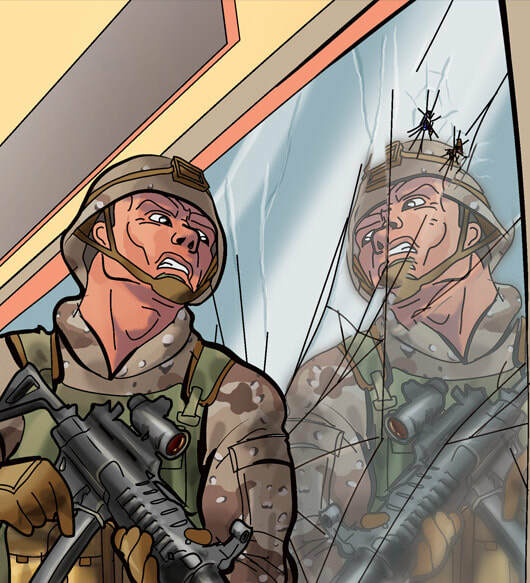 Comics about operational stress injuries, resiliency, and why so many service members are affected. Unboxing video: Highlighting the quality of printing & materials. Launch events we're attending in Toronto, Halifax. Come and say Hi! CIMVHR video: Highlights from the forum for military and veterans health research.